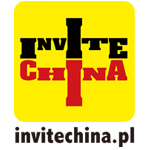 InviteChina® is a group of Chinese language translators with experience in providing translation services on the Chinese market. We cooperate with native translators of multiple majors to provide a professional approach to translated content. Our prices are competitive. We provide a quality service with short deadlines and, most of all, we operate in a wide network of translators in most cities on China’s East Coast and in municipal cities in Poland. Proudly powered by WordPress | Theme: Argent by Automattic | Adapted by Pawel Starzycki | Translation by Pawel Starzycki | Edited by Marta Wiacek .